If you’ve been left out of a will or received less than you believe is fair after a loved one’s passing, you may be wondering whether you can contest the deceased person’s will. Likewise, if you’re acting as the personal representative for someone’s estate and someone else is challenging the will, you’re probably wondering whether they have legal grounds to do so. So what are the grounds for contesting a will in Maryland? 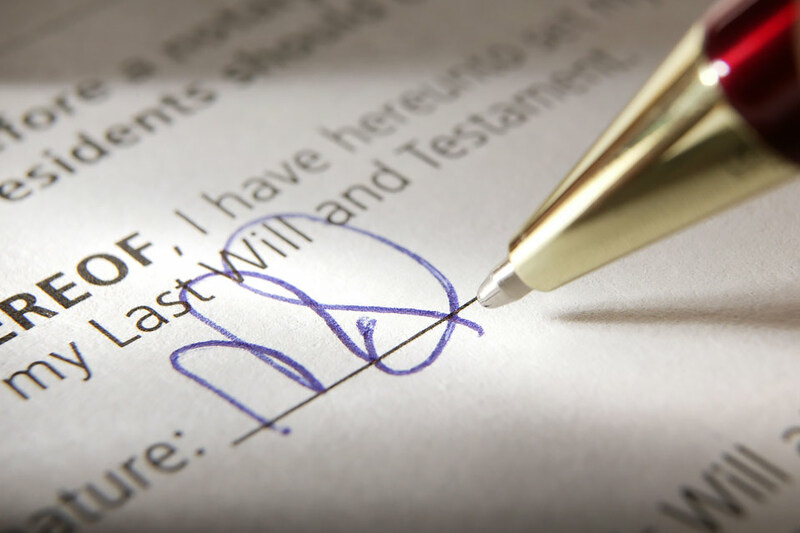 State law outlines several valid reasons for challenging a will, but first it’s important to know who is eligible to contest a loved one’s will according to the law. The decedent has named you in their will as a beneficiary. If you’re deciding whether to contest a will or not, it’s important that you contact the estate attorneys at Pinder Plotkin right away. The statute of limitations for a caveat proceeding in Maryland is six months from the initial appointment of a personal representative. This means that if you wait to contact us and this window passes, you’ll lose any chance to contest the will. It must be attested and signed by two credible witnesses. The testator must be at least 18 years old and legally competent at the time of signing. If you believe any of these conditions weren’t met — for instance, if the witnesses weren’t really present or weren’t credible — then this may provide valid grounds to challenge the will. Undue influence: If you have reason to believe that someone coerced, forced, or otherwise used illegitimate means to influence the way that the deceased person wrote their will, then you may be able to successfully challenge the will. Mental impairment: If the decedent was suffering from cognitive issues that affected their reasoning at the time they wrote their will and it caused them to write the will in a way that they wouldn’t have considered if they were of sound mind, then this may provide valid grounds to challenge the will. A newer will exists: If you’ve located a will that you believe is more recent than the one the court is currently regarding as valid, this could provide a legitimate reason to invalidate the older document. Fraud or forgery: If you have reason to believe that the will is an outright forgery, this provides valid grounds to contest the will in court. The will could also be invalid if it was procured by fraud — for instance, if a person tricked the decedent into signing the will by convincing them it was another document altogether. Whether you want to contest a loved one’s will or you’re a personal representative who is facing a legal challenge to a will, the legal process surrounding these cases is complex, is time-consuming, and comes with important consequences. The attorneys at Pinder Plotkin can discuss your unique case and offer practical solutions that can minimize your costs, time, and anxiety over a contested will. If you’d like to speak with an attorney about contesting someone’s will or if you’re a personal representative who is facing a challenge to a will, please contact the Parkville or Bel Air offices of Pinder Plotkin today. Our attorneys have years of experience in all areas of Maryland estate administration (including estate planning, asset distribution, and probate proceedings), and we’ll give your case the careful attention to detail and professional treatment it deserves. We also offer payment plans for all estate litigation matters, so don’t let financial concerns keep you from contacting us right away. Fill out our convenient online contact form today or call our offices at at (410) 661-9440 to learn about your legal options and find out what the dedicated team at Pinder Plotkin can do for you.